I know this has been asked before on this forum, but I'm super lazy, and can't be bothered to search. And yes, I realize that this is about mountain bikes, but I'm a roadie, and this is where I belong. Basically, I'm in the market for a new MTB race bike. A full suspension bike to compliment my HT. Being new in town, I poked around the local LBSes to see what they had going on in terms of teams. Not much at any of them. The only place that seemed to have any results in the MTB races was the local custom bikes/repair only shop. They literally don't carry any stock bikes; they only special order frames and build up custom rides for customers, and repair a LOT of bikes. Of the two manufacturers they do a lot of work with, only one of them carries what I deem an acceptable XC bike. However, I didn't have anything else going, so I joined up with them. A parts discount is better than nothing, right? Then, two days after I said "I'm in", one of the other local shops hears about my race from the weekend before, and decides I'm worthy of a pretty decent discount. I'd be able to get a pretty fantastic bike at the MSRP of the model below it; about $1000 savings. However, I'm not going to go back on my word to race for the other team. At the same time, though, I can't test ride a bike that they don't stock, not to mention I can't afford one in the first place. So, how terrible would it be to buy a bike from what I'm guessing is my team shop's competitor? 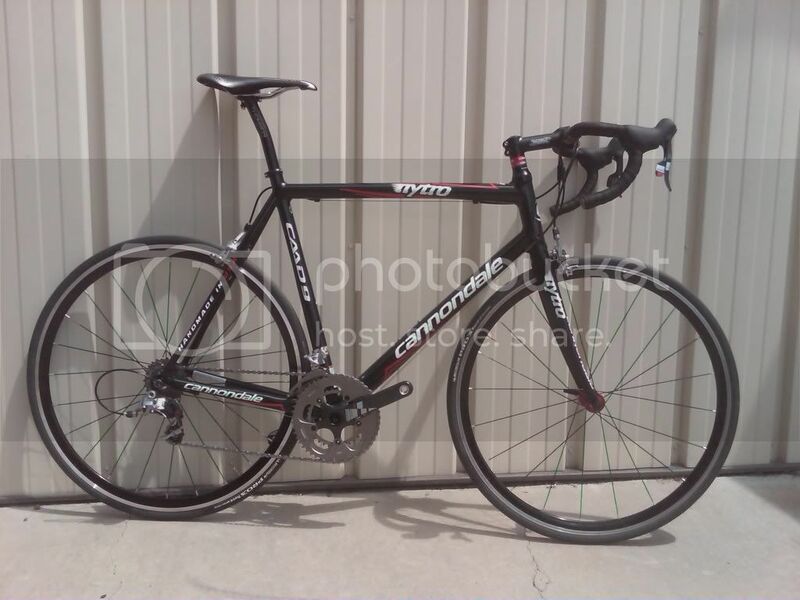 Does your team have a contractial requirement that you buy a bike from them? If not, and they're not offering to give you a bike for free, buy what you want. Yeah, just moved to town, joined a team, haven't gotten anything or really done anything with them yet... if you didn't sign anything then switch teams. Good point. No, I don't. I just don't want to be perceived as the new dude from out of town who f***s everyone over within 15 minutes of arriving. umd has a point. If the second shop means "deserve" as in they want you to advertise for them or something, you would be obligated to leave the first team to take the second shop's offer. If the second shop is just offering you a good deal because they want a new customer for life, there's no harm in that. just buy one bike from each shop. duh. While it's nice to have loyalties none of us do this for a living and if a better deal can be had it behooves you to take it. This doesn't sound like a big deal to me. The shop is giving you a discount as 'payment' for wearing their name on your jersey. They shouldn't care if you choose not to take the 'payment'. If they are making a bunch of money on the bike they sell you, then it isn't much of a sponsorship, is it? Go ahead and get the bike you want from the other shop. Ellsworth Truth at cost from Shop 1 (team I just signed up for), Giant Anthem X1 at Shop 2, and a pretty substantial discount on the bike. Ellsworth makes a pretty sweet bike, but it's still super expensive (for me), and the Giant would be (far) cheaper, lighter, and more readily serviceable. The stipulation of each would be wearing their colors for the year. I'm already signed up for a team on the road, so I can't play that card. And, really, a good road team is more important than a discount on a bike. MTB is obviously a bit different, as I'm pretty much the only guy racing XC. However, I'm thinking about buying the model I'd originally intended to purchase, and riding for the team I had originally, and currently am, "signed" with for the year. Not taking a deal from either party. Wait. You chose your team based on their good results in mtb races? This is for MTB racing. I wanted to find a team that actually raced MTBs instead of just doing shuttle rides and drinking beers. And, I'm already signed up for a road team out here as well. Although the frequency with which you finish in the money does make you wonder what a USCF 1099 on all that might look like at the end of your racing season g.
Somehow I'm confident your velo business expenses would allow you to claim a tax loss every year. And if it doesn't add up call me and we'll cook the books. That I can do. At least you're conscientious enough to ask the question. Means you respect the teams, their efforts, and you understand that the cycling world is a small enough place that a few missteps will label you a certain way, correct or not. Having said that, riders have regularly ridden for one team off road, another on road. If you approach it this way, it may be possible to have friendly teammates and LBSs in two places, instead of in angry folks in those places. I bought my first (and so far last) new car from a dealer where I initially applied for a job. I wanted to get out of IT and I like cars, and I figured it wouldn't hurt to ask how it worked. They were pretty up front and told me I wouldn't make my mortgage for at least 6 months. Then I decided I wanted a car that they sold. But I didn't want them to think that I "applied" for the job to get a break on the car. I started the buying process with a second local dealer. Just before the end of the buying process I called the first dealer, and in particular a sales guy who I thought treated me well, and told him that I wanted to buy a particular car but I'd gone to this other dealership because I didnt' want them to misinterpret my "application" (which was, at best, semi-serious). He told me that he'd love to sell me the car (he explained commissions before) but that the salesperson I worked with deserved the sale. He pointed out he wouldn't want to lose a sale if he worked on it. I went to the other dealer, the salesperson had left, and not only left, she left really nasty voicemails on my work, cell numbers, and a really nasty email. I called the first sales guy up and I bought the car 2 days later. That never made sense to me. Why would competitors be willing to share advertising space? A better question might be: how valuable is that advertising space anyway? What road team are you riding for? Why don't you have a talk with the shop that 'sponsors' you and tell them what's up? Let them do what they can to help you out rather than not giving them a chance to respond. I always wondered how many people actually see some random guy training or racing in an amateur race and think "wow, I should buy xxxxxx". This has especially crossed my mind now that I have been sporting an Herbalife jersey and shorts after getting them as a gift from my dad... who has been selling their stuff. I feel like a sell-out wearing it, but I figured who's going to run out and buy Herbalife stuff just because they saw me riding down the road? On the flip side, back in the 90's people used to come up to me all the time and asked how I liked the shop on the chest of my jersey and if they should check it out since they live nearby. Unfortunately, they went out of business a couple months into that season, so I did my duty in informing them of that and that our new shop sponsor was just as great. It's name recognition. If you are walking down the street and you see 20 guys ride by with an Herbalife jersey, assuming they don't do something stupid like almost run you over or run a red light, you store that memory away. Later you are in a store thinking should I get Herbalife or naturesgreat (I just made something up that sounds similar). You have a positive asociation memory and you would be more inclined to buy the Herbalife stuff than the other that you've never heard of. They don't usually try to make you go out and buy it right away, they just want you to remmeber the nameand have positive thoughts about it.